At Advance & Develop we are passionate about people and work. We think it's important that people should be engaged at work. For organisations, the benefits of having high numbers of engaged employees have been known for years. Improved profit, productivity, customer satisfaction are amongst the benefits, along with reduced absenteeism, and accidents. Engagement represents a Win/Win. Organisations benefit and employees benefit. How can people be engaged? First, by being in the right job and then by being able to use their unique talents and strengths every day. This has to be within an organisational context where helping people grow is considered important; and where the good things that people do are recognised and acknowledged constantly. When these things are in place trust is built. Engagement at work is a simple concept, it's just that many organisations don't find it easy to do. That's where we come in. At Advance & Develop we have over 20 years' experience of improving organisational results through improving engagement and how people work together in organisations. Click here to learn more about the services provided by Advance & Develop. As a consultant in the Automotive sector Colin's commercial experience ranges from SME's through to large multi outlet/ franchised dealer groups and major Blue Chip Companies in The UK, Eire and Europe. Passionate about coaching and developing people at all levels to deliver the best possible customer experience and business performance Colin is now using HATS to further develop Customer Satisfaction and Business Improvement Coaching Programmes. He can also assist clients with the selection of the best possible candidates when recruiting. Colin has spent over 15 years successfully developing and delivering various Retail Change Management, Process Improvement and People Development programmes for Automotive Manufacturers and Importers. Target areas have included Customer Satisfaction, Sales, Service, Parts, Accident Repair and Business Management. Prior to moving into Consultancy Colin worked in Automotive Retail as a General Manager with full P&L and Balance Sheet responsibility for businesses employing upto 75 people and turning over in excess of Â£25m per annum in today's terms. Having managed a range of organisational development, customer experience and change management programmes in the automotive sector over many years, Russell understands the business from a grass roots operational perspective through to multi-country strategy development and implementation. He is an enthusiastic customer experience champion and passionate about helping people realise their full potential. An effective trouble shooter, Russell is committed to supporting organisations in the achievement of sustainable business performance improvement and customer service excellence. HATS tools and reports play a key role in uncovering the cause effect relationship between what people do and how this affects the bottom line results. Russell works in an engaging, collaborative and consultative approach to identify the key barriers to success and the improvements required to deliver the business goals, objectives and results. Click here to learn more about the services provided by CRBS. David moved into the Learning and Development arena, inspired by the measurable results it can produce, after gaining valuable international management experience in the kitchens of 5 Star Hotels and Michelin Starred Restaurants. Since 1988 David has been working with all levels of management, across a broad range of sectors, he has designed award winning training programmes for Hotel Groups and developed nationally recognised Management Development programmes. As a highly skilled Trainer, Coach and Facilitator David specialises in helping organisations to understand and optimise models of best practice. His friendly and accessible technique makes it easier to evaluate management effectiveness, implement organisational change and align the personal aspirations of staff with business objectives. His approach can often release unexpected resources and innovation amongst management and staff. He is the author of 'The 7 Performance Traps in your business' and 3 multi-media programmes available online. David is passionate about ensuring that shared values, clear communication and targeted development of people are the furnace that drives business success. He keeps himself fit with regular swimming, yoga, meditation, kitesurfing, skiing and scuba diving. Clarifying the Business Strategy and translating it onto specific actions and measures. Developing a strategic approach to People and HR management. Applying the latest thinking in Motivation and Neuroscience. Chartered Fellow of the CIPD (Chartered Institute of Personnel and Development - UK). Click here to learn more about the services provided by Talent 4 Performance. Maxpotenti is a people and business management solution provider, which combines our practical, strategic and operational business leadership experience with the suitability and behavioural assessments of HATS, to give business leaders confidence in achieving their goals. Consulting in business planning, business development, performance management, people development. Coaching for leaders, managers and teams. Employee engagement assessment and diagnosis. Assessments for recruitment, retention and development. Click here to learn more about the services provided by Maxpotenti Ltd. Imagine a workplace where everyone enjoys their job. After 25 years experiencing good and bad workplaces first hand, Stephanie Young founded Origin HR Solutions to help companies learn to think about their employees the way they think about their customers. Using Harrison Assessments she specialises in helping find the right people and practices to build high commitment workplaces based on trust and results. Designing and delivering interventions for individuals and teams from Board level down. Designing culture change initiatives using Harrison Assessments. Designing recruitment campaigns using Harrison Assessments. Benchmarking excellence at individual team and organisational level using Harrison Assessments. Career development advice and guidance. Her clients describe her as a strategic thinker, creative, collaborative and very challenging. She is a certified NLP Business Practitioner, a member of the CIPD and IOD and an Honorary Professor at Glasgow University. Click here to learn more about the services provided by Origin HR Solutions. I am a performance coach with nearly 30 years' experience. I started my coaching career back in 1977 as a Judo Coach and went on to work at National and International level. Now a Leadership Performance Coach, I apply my experience in the pursuit of superior individual and team based performance in a business leadership and personal context and am personally dedicated to assisting my clients to realise and release their true potential through positive pro-active behaviour change(s). I am a fellow of the Chartered Institute of Personnel and Development (CIPD), a member of the Association for Coaching (AC), the Society of NLP Practitioners and am an accredited assessor in the use of Paradox Leadership profiling and Belbin Team Assessments. I have lectured for the European Union, the University of Phoenix Arizona and the University of Central England and have written many articles on coaching and leadership development. I have worked in the public and private sectors and my clients include:- Allied Signal & Aerospace Inc (USA), Corus Steel, ConocoPhillips UK, Northern Gas Networks, Smith & Nephew, ABB Cables (Ireland), ABB AB (Sweden), ABB IN (India), Alcan Packaging Europe, NestlÃ© UK, Dragon LNG, Degussa Fine Chemicals BV, Alsthom Transport, Hickton Pressings Ltd, European Gas Turbines, Kennametal-Hertel UK, BG Kazakhstan, Dexion Plc, GSK, Lloyd Triplex, ASML (Netherlands) National Starch & Chemical (USA), ICI Paints North America, Iggesund Paperboard, Arjo Wiggins, Karachaganak Petroleum BV (Kazakhstan) Albemarle Chemicals UK Ltd, Jordan Bromine Company, Nexus/Metro (Newcastle) and SASOL SA. Click here to learn more about the services provided by Positive Impact Coaching. At Quadrant 1 International we specialise in talent management and talent development and work with individuals, teams and organisations from both the public and private sectors. We are Business NLP trainers in leadership and international authors of personal development books published by Pearson Education. We work with people from a cross section of disciplines and industries including logistics, pharmaceuticals, IT, Education, Health, Manufacturing, Engineering, Airline services, Retail and Finance. Our clients include Astom, EMC, Norbert Dentressangle, Exertis Micro P, DCC, BBA, Mathew Clark, Equinix, B & Q plc, South Gloucestershire College, Specsavers, Sanofi Aventis, Perkin Elmer, Wincanton, Ricoh, Carbogen Amcis and Simon Hegele. Logistics Company with 33,000 employees - wanted to know why their home grown managers stayed with them but those brought in from the outside left within 18 months. They also use HATS to measure performance against company values. Adult Education College - Two very different colleges amalgamated and the HR Director wanted to establish a unified culture. We helped them produce a profile using HATS which is incorporated into their performance review system. Not only has this raised expectations but managers are able to have conversations which would previously have been avoided. Data Storage Company - Uses HATS for recruitment and to offer a 'joined up' succession planning system across 3 continents as well as for recruitment of senior executives. Wholesale Suppliers to the Entertainment Industry - we used HATS team paradox as the foundation for a team direction event and for recruitment of senior executives. International Pharmaceutical Company - we used HATS team paradox with the top team and for recruitment of senior executives. All Quadrant 1 coaching clients and attendees on our open programmes are asked to complete the Harrison Assessment Paradox as it gives such a rich starting point for development. We are building a strong team of HATS consultants all of whom have extensive business and/or HR backgrounds. Click here to learn more about the services provided by Quadrant 1 International. Welcome to The Talent Track. In brief, we provide a services and solutions set for highly effective talent management, combining practical business and HR know-how with the use of Harrison Assessments advanced assessment techniques. This delivers consistent, objective, in-depth, highly accurate appraisals of individuals and teams, and can be tailored to suit almost any circumstance. Assessments provide deep insight into the job-specific behaviours necessary for employees to succeed, enabling the right recruitment selection and on-going talent management. The services and solutions we provide cover the full spectrum of talent management, from recruitment, talent development and retention, to organisational development. Our aim is to help you achieve better business performance - higher profitability, increasing returns to shareholders and greater organisational sustainability. Our team has a powerful combination of business and HR experience. Mike is a Chartered Accountant who has spent the majority of his career consulting to or managing businesses. He worked with KPMG and PWC in corporate development, before moving into general business management. Subsequently, he has been a partner in a mergers & acquisitions advisory firm and he is now focusing his efforts on the services provided by The Talent Track. Jane is a Fellow of the UK CIPD, has a Cert Ed. (Lecturer) in HR, is an NLP Practitioner, and has over 25 years' experience as an HR generalist and in general management. She has worked with many large companies and SMEs, providing direction and leadership advice in talent management. The work she has covered as a consultant includes recruitment, talent development, coaching, mentoring and organisational change. Geoff is a Learning and Development professional focused on areas of personal development and high performance coaching. He is an NLP Licensed Trainer, runs training seminars with author and broadcaster, Paul McKenna, and is a lead trainer for the London seminars of NLP co-creator Dr Richard Bandler. Geoff progressed his career in Retail management and Corporate Training of FTSE 100 businesses. For the last 10 years, Geoff has worked with many different large organisations and SMEs, coaching and developing teams and individuals. Click here to learn more about the services provided by The Talent Track. Dave had a successful career with the fire and rescue service in operational and training roles with a significant contribution as a senior manager to leadership and team development. During this time he was seconded to the audit commission to develop and lead a review of operational ability, and was instrumental in turning around a loss-making training function, maintaining it in profit for over 5 years. Upon leaving the FRS he set off on a 20,000 mile sailing race - which ended on a desert island. Being in such an enclosed space with captain and crew, and very tough conditions, for many months had a deep influence on him. This experience helped form his understanding of team effectiveness and leadership capability which he took forward into his new career. Dave is now a highly qualified corporate and executive coach with his own coaching company and has developed a unique coaching programme which he uses to help businesses, leaders and teams bring their people and processes together in order to achieve their ambitions. He also delivers coaching support to a number of youth charities and works with the Ocean Youth Trust in Scotland. Click here to learn more about the services provided by thirdphase coaching. I am a coach, facilitator and learning and development professional who specialises in leadership and management development and change. I have many years experience working with individuals and teams at all levels of an organisation from the top team to colleagues, across functions such as retail, logistics, manufacturing, supply chain and head office environments supporting behavioural change and growth. Before making the move into the world of development i held several operational positions managing teams of up to 100 people so understand the challenges and many rewards of managing people. I am an NLP Master Practitioner, NLP Coach, Harrison Assessment Talent Solutions consultant and licensed MBTI practitioner who believes learning should be enjoyable and i bring a mixture of fun, challenge, resourcefulness and pragmatism to my work ensuring my solutions are closely aligned to both business and personal objectives and most importantly get results. Constantly striving to enable others to release their potential and build upon what is already there, I have a flexible approach and adapt my style according to the individual or situation intuitively, building great relationships. I believe that your needs are individual and am firmly committed to helping you meet them. In consultation with you I will design a solution or programme that fits your needs and challenges you to be the absolute best you can be. I look forward to working with you. 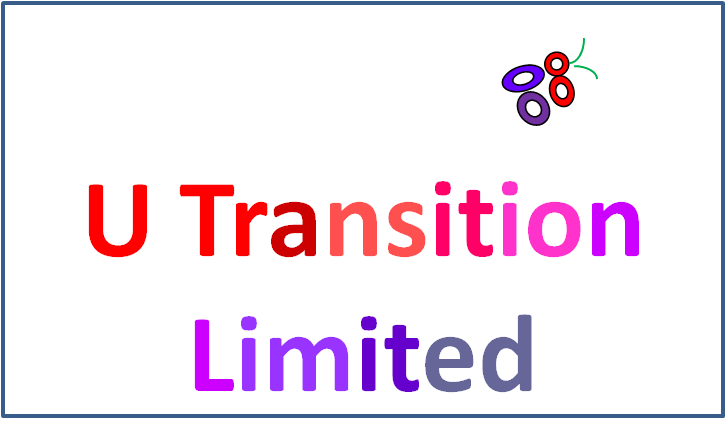 Click here to learn more about the services provided by U Transition Limited. With the right performance management profitability will come from your staff. Member of the Chartered Management Institute, An Accredited Consultant for the Skills Framework for the Information Age (SFIA) and an Accredited Harrison Trainer. NLP Practitioner. Click here to learn more about the services provided by goBlue International. Richard Tyler is a Chief Possibility Architect, Author, International speaker, coach and provocateur. Richard's mission is simple: to disrupt and provoke the way that organisations think, as being good is no longer good enough. Companies need to be Extraordinary in order to be successful. Richard is frequently requested by CEO's, boards and senior leadership teams to coach, speak and facilitate workshops to shake up their habitual thinking. Richard works across multiple sectors, including public sector, finance, retail, law and technology. He also frequently speaks on radio and contributes to numerous magazines and trade journals as an expert in the field of Artful Leadership. 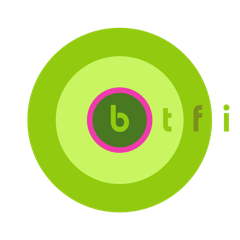 Click here to learn more about the services provided by BTFI - Richard Tyler.